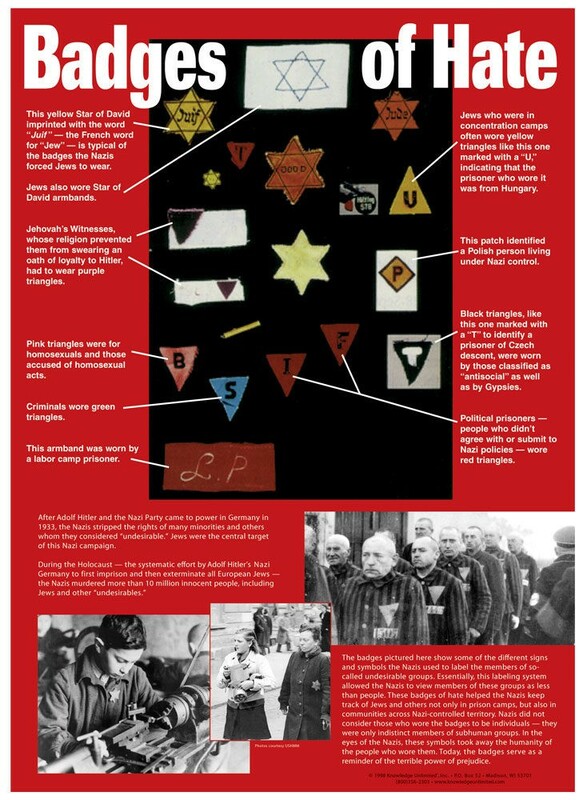 A primary source example of systemic prejudice, this poster features actual badges that the Jews throughout Europe were forced to wear - in and out of concentration camps. 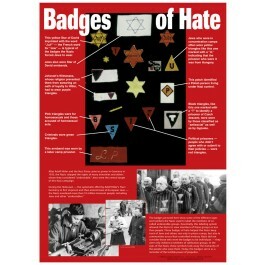 The poster emphasizes how the Nazis used these badges to dehumanize persecuted groups within the larger society. A vivid depiction of prejudice in everyday life. On heavy, coated stock.